What type of marketing techniques did you rely on in 2016? Were you happy with the results? 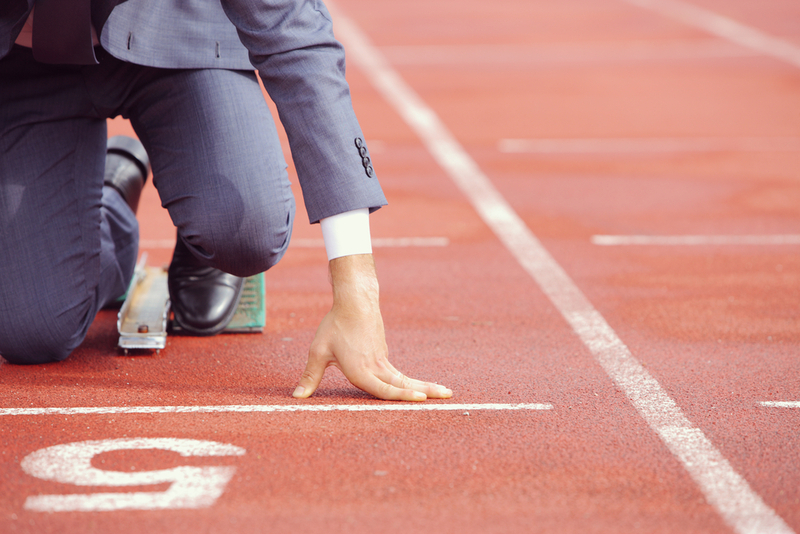 Are you looking to improve your performance this year? Regardless of what you have done in the past, it’s important to keep one eye on the future. There’s nothing wrong with focusing on what generated the best results in 2016, but this shouldn’t stop you from expanding your strategy. Now that the calendar has turned and 2017 has arrived, it’s time to focus on the trends that could make or break your business in the new year. 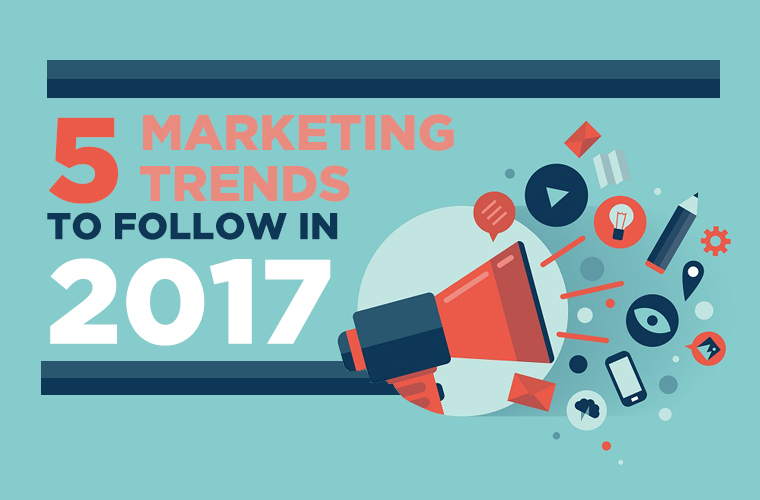 We’ve put together a list of five marketing trends to follow in 2017. Let’s take a look! If you’ve ignored social media in the past, now’s the time to adjust your focus. From Twitter to Facebook to LinkedIn (and that’s just the start), there are many opportunities to connect with prospects via social media. While Facebook remains the most popular social media platform, don’t be surprised if others, such as Instagram, continue to close the gap in the months to come. The growth of social media is real. If you want to achieve marketing success in 2017, make this a big part of everything you do. Content marketing has been a hot topic for the past couple years. But guess what? This isn’t going to stop in 2017. That’s a good thing for companies that realize the importance of creating and sharing high quality, unique content. 60 percent of marketers say blog content creation is their top inbound marketing priority. Companies that published 16+ blog posts per month got almost 3.5X more traffic than companies that published 0-4 monthly posts. While these statistics say a lot, HubSpot also noted that only 32 percent of B2B marketing professionals have a documented content marketing strategy. You don’t want to be among the 68 percent without a strategy. Instead, this is the year that you should join the 32 percent of people who understand the true power and meaning of content marketing. You know that social media and content marketing can generate serious results. For this reason, you focus a lot of your time, money, and resources on these two strategies. That’s okay, but you need to open your eyes to other ideas. One such idea is creating a podcast. Last year, HubSpot reported that 15 percent of marketers planned to add podcasting to their marketing strategy in the next 12 months. Did you make this move? Did you hold yourself back for some reason? If you didn’t join the marketers who started podcasting in 2016, you’ll want to do so this year. Letting another 12 months pass you by will put you behind the eight ball. Now’s the time to let your voice be heard! There is no denying the fact that search engine optimization continues to change with each passing year. What worked in 2011 will get your site penalized in 2017. And of course, what works this year may not have a positive impact on your company in the years to come. Even so, this doesn’t mean that SEO is dead. In fact, it’s alive and well. You simply need to know what you should be doing, what you should avoid, and how to create a strategy that the search engines will fall in love with. You know that higher search engine rankings result in more traffic and more leads. What you may not know is the steps you can take to boost your rankings to the top of page one. Don’t set the goal of creating as much content as possible. Don’t set the goal of building as many links as possible. Instead, focus your energy on creating the highest quality content in your space. Along with this, high quality, relevant links are more important than ever before. In the past, we’ve discussed some of the most common SEO mistakes. Keep these in mind as you create and carry out an SEO strategy. This isn’t something that every business in every industry can use to their advantage. Furthermore, it may not be something you’ve thought about in the past. You may not have a solid grasp of how video marketing works, but it can generate serious results if you take the right approach. Get this: more video content is uploaded to the internet in a single month than television has created in three decades. That’s a statistic that should get you thinking. That’s a statistic that should push you toward this marketing strategy in the months to come. Yes, it takes a lot of work to produce high quality video content. And yes, you may need to put yourself out there for the world to see. Even though these challenges exist, the potential reward is more than enough to put a smile on your face. There is no way of knowing how 2017 will play out, but these marketing trends have a good chance of impacting your business over the next 10 months. You may not get involved with all five of these strategies, but each one is worth your consideration. You never know when you’ll make a change that pushes the results of your marketing plan to the next level.